The simple version is that the American Civil War began in 1861 and ended in 1865. So far, so good, but those dates are just the years, not the precise dates. So, what is the precise date for when the war ended? The honest answer is: That depends. One date you could use is the date when Lee surrendered his army, thereby ending the main hostilities. That happened on April 9, 1865. However, other Confederate armies under separate commands surrendered at later dates, up till June 23, when the last Confederate general surrendered. 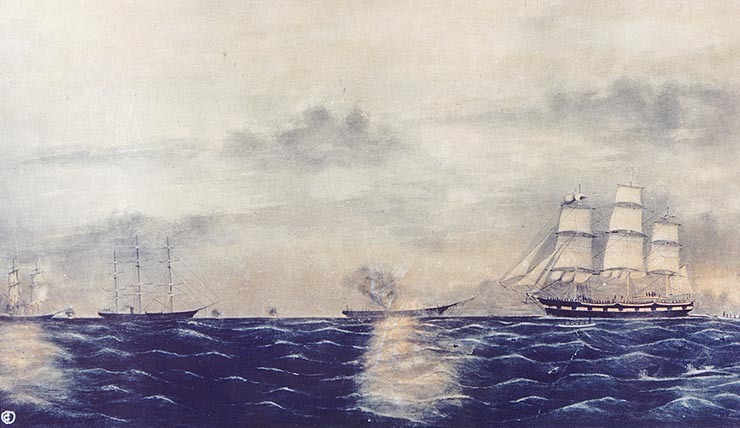 There were also Confederate warships which were unaware of the end of the war, and surrendered at still later dates, with the Shenandoah being the last to surrender, in November 1865. If you prefer to use political rather than military criteria, then you can use the date when President Johnson declared the war over, on May 9th, or the date when Confederate President Jefferson David was captured by Union forces, on May 10th 1865. One way of responding to this range of reasonable contenders is to choose one as the real date, and to treat the others as nit-picking minor details. That approach runs into obvious problems with accusations of subjectivity and of arbitrary decisions. This is an issue that is all too familiar to historians, who are well aware of how easily political ideology can be used as the criterion for choosing a historical agenda to bolster a political agenda. A more useful approach is to think in terms of levels of granularity. 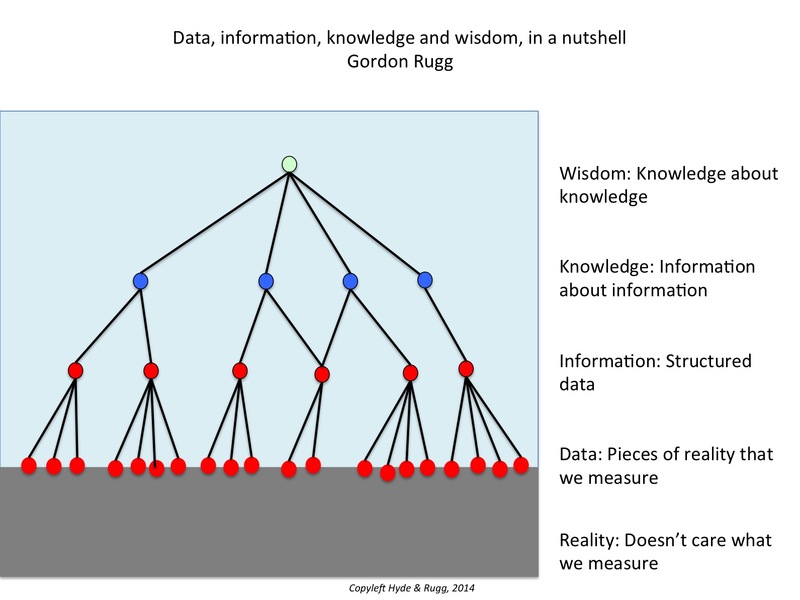 That ties in neatly with the knowledge pyramid, which we described in an earlier article. If you’re working at the level of data, then each of the dates above is a valid “fact”. However, to put that data into any sort of context, you need to structure the data in some way – for instance, in terms of the key military issues, or the key political points. That takes you into the level of information. Your reasons for choosing one structure over another possible structure then take you into the level of knowledge. For instance, you need to decide which issues are important enough to use as criteria for structuring the data into information, and which issues aren’t important enough. At a higher level, namely wisdom, you’re making choices about the even bigger picture. For instance, there’s the choice of the American Civil War as a topic in the first place; there are a lot of other civil wars that significantly affected world history, some of them arguably much more significant than the American Civil War. There’s the choice to focus on a war, as opposed to e.g. the technological changes that were happening at the time. There’s even the choice of the name you use for the war – many people still view this as a highly charged political decision, where the name The American Civil War has very different connotations from e.g. The War Between The States. So, in summary, the idea that it’s possible just to “teach the facts” in a “non political” or “theory-free” way simply doesn’t correspond with reality. However, if the past is anything to go by, when reality encounters ideology, the true believers will tend to view reality as negotiable. The irony would be amusing if this debate didn’t have such far-reaching implications for the quality of education in future years, and for the lives of the schoolchildren who might have to be dragged through simplistic, misleading ideology being portrayed as common sense and facts. Society deserves better. All images above are copyleft Hyde & Rugg, unless otherwise stated. You’re welcome to use the copyleft images for any non-commercial purpose, including lectures, provided that you state that they’re copyleft Hyde & Rugg. This entry was posted in education theory, history and tagged facts by hydeandrugg. Bookmark the permalink.